ONE DEAD, 26 INJURED IN BUS CRASH! A few days before the Easter weekend and the roads keep claiming more lives. Today 26 people were injured and another one declared dead at the scene, after a hospital transport bus crashed near Ladysmith this morning. This horrific accident took place on the R600 between Ladysmith and Winterton. 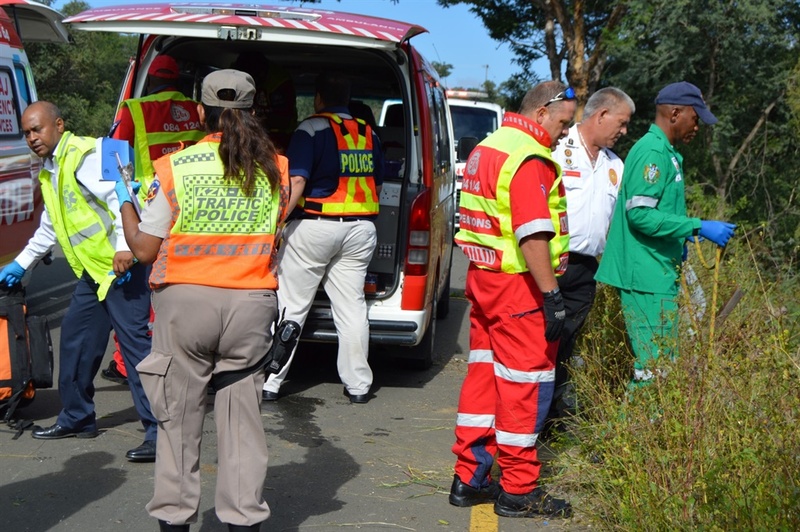 It is believed that the bus was travelling from Winterton to a hospital in Ladysmith, it then veered down an embankment and crashed. Patients were rushed to hospital and two of them are critically injured. Paramedics and members of Ezemvelo KZN Wildlife brought up the patients from the bottom of the embankment. Officers are encouraging road users to be cautious on the road especially this Easter.